A ‘yes’ vote at an International Labour Organisation meeting in April is the only way to create a level playing field on which to conduct maritime trade and stop shipowners abandoning seafarers with impunity, says Seacurus managing director Captain Thomas Brown, writing in the latest edition of Tradewinds. Safety has to be the watchword of those who put their ships to sea. Yet the welfare of the seafarers who successfully assume the heavy weight of responsibility for the day-to-day safety of shipping invariably remains out of sight and out of mind. Such is this weight of responsibility, however, that it is imperative that seafarers are given the support and respect they need to fulfil this onerous obligation. We now approach a watershed moment, an opportunity for change, a chance to ensure that the very people we expect to manage the safety and cleanliness of our seas are, in turn, individually protected from the vagaries of the international business in whose conduct they are involved. In April, distinguished representatives of the tripartite views of seafarers, shipowners and governments will gather in Geneva, Switzerland, at a meeting of the International Labour Organisation (ILO). Those representatives will have before them a proposed amendment to the Maritime Labour Convention (MLC) 2006, which, if agreed, could in one fell swoop set in motion a mandatory requirement on all parties to safeguard the financial interests of the individual seafarers we task to put our ships to sea. In the process, they will consign the spectre of seafarer abandonment to the annals of history once and for all. Without such protection, how can we possibly assume that society’s own personal safety imperative will be protected? Empowering seafarers in this way, free from the financial consequences of their employers’ demise, will liberate them to help provide a first line of defence against the onset of substandard shipping. It is well documented that failure to properly maintain, insure, equip and man a ship are all early warning indicators of a shipping casualty waiting to happen. 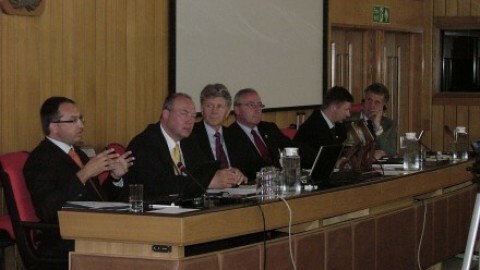 If the ILO reaches the right decision in April, the threat or failure to provide either timely repatriation or proper remuneration will no longer serve to encourage seafarers to prejudice their own personal safety by turning a blind eye to genuine safety concerns arising from their owners’ financial difficulties. Caught early enough, disaster can be avoided; left unchecked, it will ensue with alarming regularity. We must put an end to the ability of shipowners to abandon seafarers with impunity. In so doing, we will afford seafarers the basic human right of a safe place of employment and fair pay for a fair day’s work. In the process, we will ensure they cannot be manipulated in such a way as to benefit the interests of the few at the greatest possible cost to the many. Without the mandatory instrument provided by a “yes” vote at the ILO in April, there will continue to be insufficient political will to make this much-needed change for all. By placing a mandatory obligation on all those who put ships to sea, we will go some way to providing a more level playing field on which to conduct maritime trade. Such a requirement will favour the good and prejudice the substandard, for the cost and availability of this mandatory protection will correlate to the independent risk assessment of those seeking to purchase this valuable ticket to trade. Those who cannot afford to put their ships to sea will be prevented from so doing by an industry that will not tolerate operators who fail to afford adequate financial protection to those very seafarers in whom we must all ultimately place our trust.